The conference has already taken place. You can find information on the schedule, travel, and hotel in the program booklet. 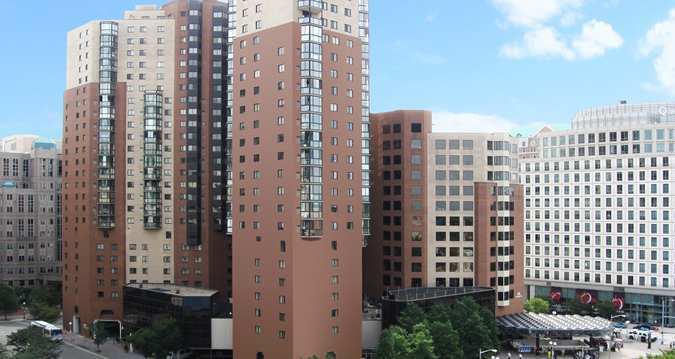 Moreover, you can download the restaurant guide for the Ballston area here. You can download the full program booklet here. For further information, contact Meetings Coordinator Jari Eloranta at: elorantaj@appstate.edu. 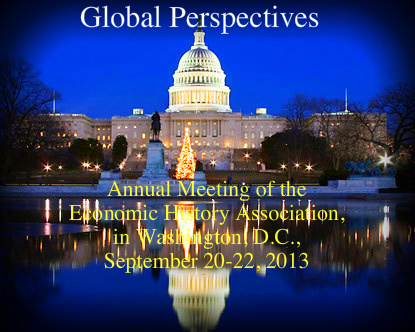 The Economic History Association will hold its 73rd Annual Meeting at the Hilton Arlington hotel on September 20-22, 2013. We hope to welcome over 250 participants, including top scholars in the fields of history, economics, and political science, from around the world. We invite you to participate in our tabletop book exhibit, or advertise in our printed program or provide an insert for our registration packets. The Meetings Coordinator and his staff will set up the book display so it is not necessary for publishers to send representatives with special posters and banners, although some will choose to do so to provide a more comprehensive service to our members. The book exhibit is open during the entire conference to all those in attendance. In the past it has been often visited and a source of excitement when the books are auctioned off at half (or less than) the list price. Please see the letter and forms at the bottom of the page (Word documents) for further details. THE POSTER SUBMISSION SYSTEM is now CLOSED. Graduate students interested in attending the annual meeting but not participating in the poster session are eligible, depending on funding availability, for up to three nights' complimentary hotel room (double occupancy, shared with another graduate student); discounts on registration and the banquet; and the Friday dinner. Travel expenses will not be covered. Send requests to the Meetings Coordinator (Dr. Jari Eloranta, elorantaj@appstate.edu). Applicants must be members of the Association and applicants should include proof of their graduate student status (i.e., their advisor's name and contact details). Deadline: July 6, 2013. Awards announced by July 27, 2013. The Nevins and Gerschenkron prize are awarded annually for the best dissertations on North-American and non-North American topics completed during the previous year. Six finalists, three for each award, will be chosen to present dissertation summaries at the Seventy First Annual Meeting of the Economic History Association in Washington DC in September 2013. Finalists will receive $500 to defray travel expenses (Finalists travelling internationally will receive $800). Award recipients receive a cash prize of $1,200. Eligibility: Those who received their Ph.D. between May 16, 2012 and May 15, 2013 are eligible and invited to submit their dissertation for consideration. All candidates for these prizes must be members of the Economic History Association. Dissertations submitted for consideration must be in English. Submission of a dissertation implies that candidates are prepared to attend the 2013 meetings in Washington DC. Presentation of a dissertation summary is required by all finalists. To be considered for these prizes completed dissertations must be submitted in hard copy on or before May 15, 2013. Notices announcing the selection of finalists will be sent to all candidates by July 24, 2013. Dissertations will only be returned to candidates if a self-addressed envelope is provided at the time of submission. DEADLINE FOR POSTMARKED ENTRIES HAS NOW PASSED! For further details, see: http://www.eh.net/eha/prizes. By How Much Did Railroads Conquer the West? Tops and Bottoms: Wealth Extremes in Late Nineteenth Century Ontario – Where Were the Rich People?